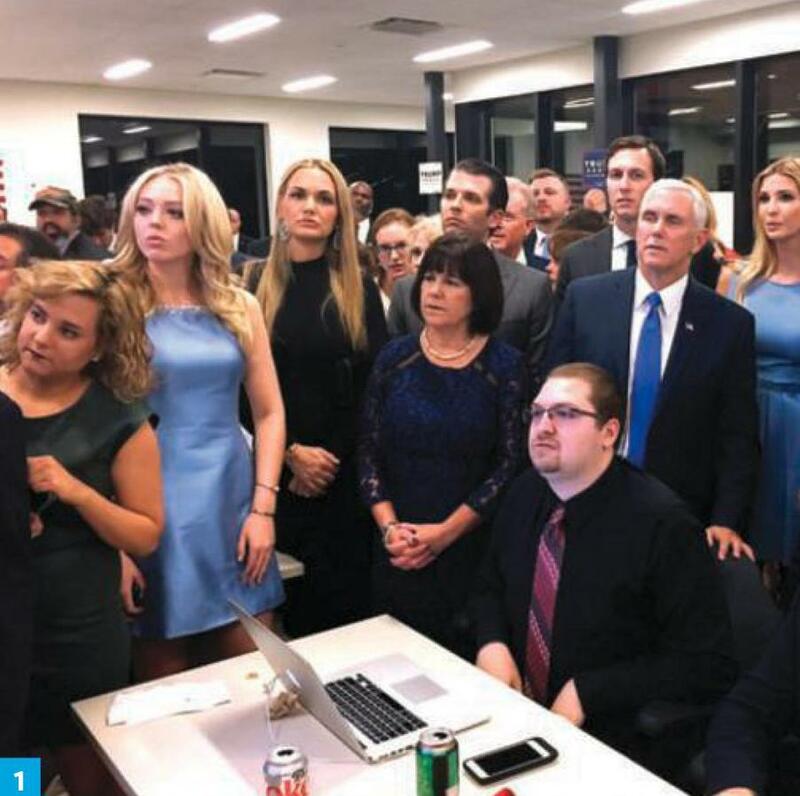 “You’ve all given me such incredible support,” Trump told his staff (with him and his family in Trump Tower watching election results on Nov. 8). 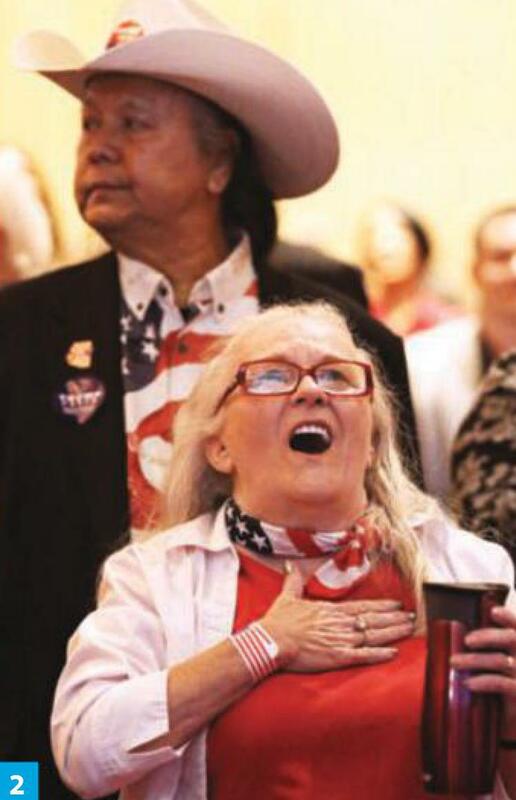 A Trump supporter reacts to the polling news at South Point Hotel in Las Vegas. 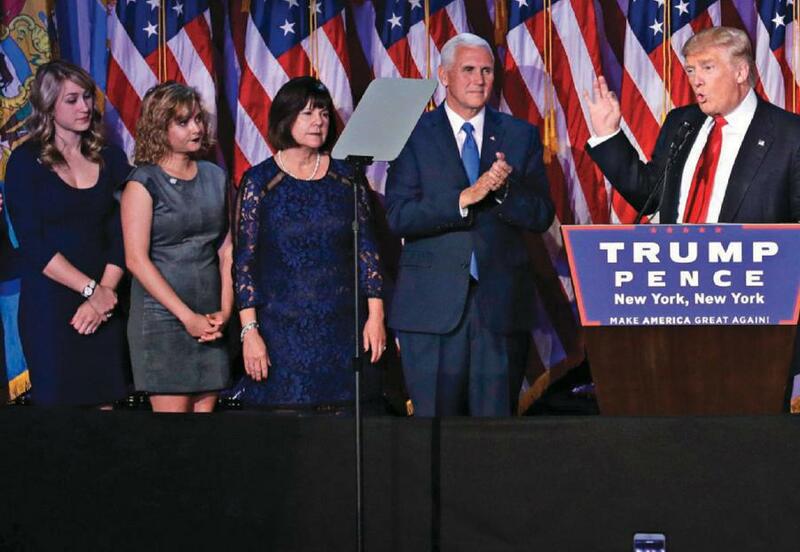 President Trump is dealing with three lawsuits from two women, a federal criminal investigation of his longtime attorney and the Justice Department's investigation into the 2016 election.